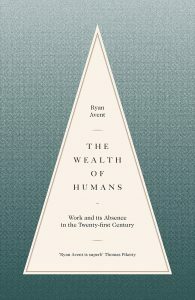 As one would of course expect from the economics correspondent of The Economist, Ryan Avent has written a very clear account of the way digital technologies, and the globalisation driven in part by technology, is changing the ways people can earn a living. The Wealth of Humans: Work and its Absence in the 21st Century brings together the debate about robots destroying jobs, arguments about the ‘death of distance’ and literature on the re-emergence of cities as economic hubs, the issue of inequality, and the more recent discussion of whether or not the world is in for an era of ‘secular stagnation’. The focus is on three related trends: automation, globalization, and the enhanced productivity of a highly skilled minority of people. Part of this, I’d take issue with. I don’t agree that skill upgrading has ‘run out of steam’. The character of tertiary education clearly needs to change; we are in a stage like the persistence of classical education in the late 19th century. The educational establishment is slow to change – but it will, or it will be disrupted. But I’m much more persuaded by James Bessen’s argument (in Learning by Doing) that in the later stages of the technological transformation of production, the necessary skills are steadily standardised and thus able to be codified and taught. And, while addressing the ‘lump of labour’ fallacy, Avent nevertheless argues that, “The problem is the sheer abundance of labour.” Yet he also sees technology replacing ‘expensive’ labour. Surely labour=people=knowledge, pretty key in an endogenous growth, knowledge-based economy. It seems more likely that ‘work’ will be redefined, with a role for appropriately skilled humans, as it has been so many times before. There are some very nice details indeed in the book. I didn’t know that Robert Gordon used to ask audiences whether they would rather give up post-2000 technology or indoor plumbing – the answer used to be the former, until smartphones came along. And indeed in the developing world, people would clearly rather have their phones and the internet. (An aside: indoor plumbing is a great example of why technology is social more than it’s technological. It’s a simple and well-known technology, yet one many countries are unable to make work for them.) Arvind Subramanian’s term ‘fluff not stuff’ for weightlessness (cf The Weightless World) was new to me, although perhaps a little too derogatory-sounding for the source of most of the value-added in developed economies. Avent concludes that the reason to be pessimistic is that there is ‘no-one in control’, able to pilot society wisely through the upheaval. Looking back over the past 200 years, someone thinking they are ‘in control’ seems a pretty bad idea to me. But, to get back to the starting point, the politics, I’d agree that this is the territory for pessimism. Where leadership to generate a sense of progress and confidence would be desirable (because expectations matter no end for the economy), we have politicians reacting to people’s fears. It’s understandable, but it isn’t what we need. Robert Frank’s new book Success and Luck: Good Fortune and the Myth of Meritocracy is a nice, brief overview of why luck plays such a big role in an individual’s economic success (or otherwise). This very readable book canters through some of the key evidence on how economic success depends on chance, amplified by phenomena such as winner take all markets, and by policy. Mainly, though, it is another pitch for Frank’s favourite policy prescription of a progressive consumption tax, something he’s been advocating since The Darwin Economy, Luxury Fever and possibly before. As in those books, he relies here on the argument that much consumption consists of positional spending and the ‘arms races’ need to be limited by policy intervention. I’m not persuaded about the consumption tax idea, because when you ask policymakers to select luxury goods will probably choose something that might be a luxury now but will become a useful mass market product. Remember Norman Lamont in 1991 taxing mobile phones as yuppie status symbols – which indeed they were at the time. (“I turn now to what I regard as one of the greatest scourges of modern life. I refer to the mobile telephone. I propose to bring the benefit of car phones into income tax and to simplify the tax treatment of mobile phones by introducing a standard charge on the private use of such phones provided by an employer. Tax will be paid of £200 for each phone for 1991-92. I hope that, as a result of this measure, restaurants will be quieter and the roads will be safer.” Budget speech 19 March 1991.) One could be on safer ground with, say, gold leaf covered sports cars, but even so my preference is for progressive income and especially property taxes. Still, the reminder about the important role of luck is welcome, although it is surely neither wholly necessary nor sufficient for economic success. The most important conclusion to my mind is the negative one that people who are poor are most likely unlucky, whether that be in terms of their parents’ income and status or the quality of their school and neighbourhood, and poverty or unemployment can’t be blamed on laziness. 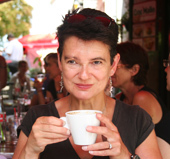 As Julia Unwin pointed out so eloquently in Why Fight Poverty?, we often make unjustified moral judgements about poor people out of fear; we need to recognise the bad hand life has dealt them. James Bessen’s book Learning By Doing: The Real Connection between Innovation, Wages and Wealth is excellent. It strikes a balance between meaty analysis and description of historical episodes of technical change, and is at the same time very accessible. The book argues that it is important to distinguish between ideas, which can be codified and transmitted and know-how attached to workers, which takes experience to accumulate. This is familiar – Paul Romer recently blogged about the role played by this distinction in his famous model. But Bessen adds that the distinction makes it important to consider the incentives for workers to invest in new skills so that new technologies can be implemented – and the part played by these incentives is usually overlooked and yet crucial for forming views about the “future of work” when there are ubiquitous robots. He uses the historical examples to demonstrate that in the early stages of implementation of a technology, returns to workers with generally high skills will rise. They are able to make the adjustments and minor additional innovations that get the big innovation to work. During that period, the wages of ordinary workers stagnate – as in the famous Engels’ Pause (pdf). However, when the technology is thoroughly bedded in and the technical knowledge needed to work with it is standardised, ordinary workers have the incentive to invest in in gaining skills and experience. A thick labour market develops. Workers are able to threaten credibly to switch jobs. Their real wages rise and the high-level skill premium narrows. He emphasises the need for the necessary technical knowledge to be standardised too – the example he uses is the periodic table’s invention, standardising the chemical knowledge workers in the growing industry needed, and making it easier to teach. Bessen then uses some new examples to demonstrate that with digital technologies, this standardisation of technology, tasks and skills has not yet happened. His example is digital publishing, where the specifics of the technology are still changing, and so do the specific technical knowledge and experience needed. In addition to the development of a standardised know-how labour market on demand and supply sides, Bessen points out that new technologies can also raise demand and employment in existing work. His example here is the continuing increase in the number of bank tellers (still going on) even as the number of ATMs grew rapidly, with the humans’ tasks changing to focus on customer relations, and the number of bank branches and transactions increasing. This is not the case with all technologies – the job market for people making oil lanterns is tiny – but the book suggests it happens more often than one would think. The book ends with policy reflections, of which the most interesting concerns education. The reasoning about standardised knowledge, and the importance of experience, as a technology matures points to the need for skills-focused education rather than piling as many young people as possible through conventional academic tertiary education. Bessen argues that demands to make vocational jobs such as nursing or medical assistants require a university degree represent a form of job protectionism. He also – along with many other scholars – points to the dysfunctional nature of the patent/copyright system as it operates now, especially in the US. This is a very US-focused book, but none the less interesting for that. This review has skimmed over the top of the argument; I’d strongly recommend the book to anyone interested in the automation/inequality/employment issues. It is a broadly optimistic perspective but does underline the length of the transition and the likely impact on individuals. All the more reason to pay attention to the policy implications.